Dogs become senior citizens after roughly age 7, depending on their size. And new medical conditions can arise during those golden years. But that’s no reason to pass up seniors in animal shelters. Many age-related issues are very manageable, allowing your dog to continue living a quality life. Still, it’s important to identify them before they become severe. 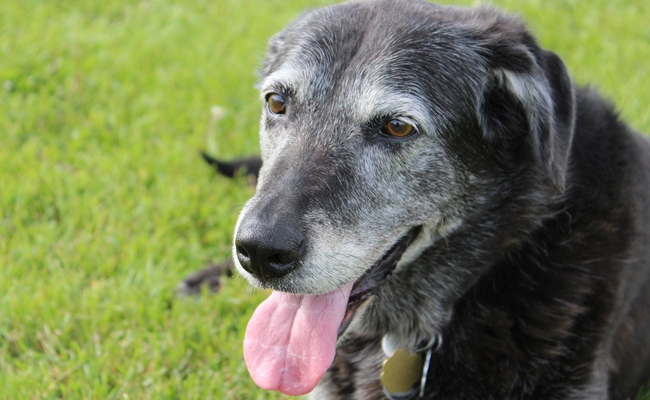 Here are seven common health problems in senior dogs. Senior dogs — especially large breeds — might develop arthritis or other joint problems. Just like with humans, years of wear and tear on the joints can lead to inflammation and damage. Your dog might become less interested in play and other activities, and they might start to favor a limb or exhibit other signs of pain, according to the American Veterinary Medical Association. Fortunately, there are several treatments to make sure these senior dogs still have a good quality of life. Veterinarians might prescribe anti-inflammatory drugs or other medications, supplements and therapies to help with the symptoms. A healthy diet and vet-approved exercises also are important for your dog to maintain an optimal weight and strength. Plus, to help your dog around the house, consider providing an orthopedic bed, rugs for traction, small steps so they can avoid jumping, raised feeders, etc. These little adjustments can make a huge difference in keeping them safely mobile during their golden years. Proper dental hygiene is essential throughout a dog’s entire life, but many don’t receive the care they need. And that can lead to some serious health problems by the time they hit their senior years. “By three years of age, most dogs and cats have some evidence of periodontal disease,” according to the American Veterinary Dental College. Delaying care might require extensive dental work and put your dog at risk of further issues, such as heart, kidney and liver problems. Your veterinarian should advise you on proper home dental care. And they might recommend a professional cleaning, during which they will assess the extent of any dental disease. This usually requires anesthesia, which does pose risks — especially for senior dogs. But the risks of dental disease might be far greater depending on the case, so it’s important to be proactive with your care. Just like with humans, many dogs experience a decline in eyesight as they get older. In the absence of disease, it’s simply a natural part of the aging process. And fortunately, it doesn’t have to make a huge difference in how your dog lives, as they use multiple senses to help them navigate. “Blindness can occur over time in some dogs and is best when caught at the onset when the eyes are just beginning to fail so you can start teaching your dog to rely more heavily on his hearing and other senses of smell and touch,” according to PetMD. As soon as you notice symptoms, bring your dog to the vet to make sure it’s nothing more serious than normal aging. They’ll be able to advise you on the best methods to keep your dog safe and happy in spite of their vision loss. 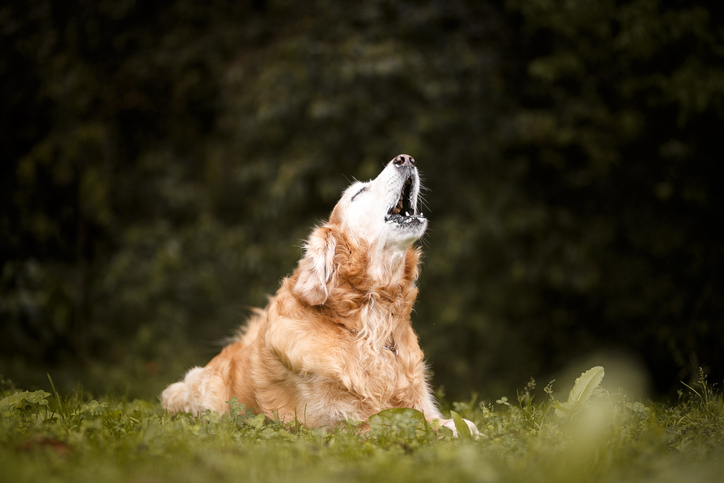 Some hearing loss also is common in senior dogs — though if they always ignored your commands, it might be more difficult to notice. “Some signs that a pet may not have optimal hearing are startling easily when approached from behind, being unreactive to the doorbell or other sounds that he or she previously responded to, and going the wrong direction or turning the wrong way when called,” according to Best Friends Animal Society. But don’t chalk up any apparent hearing loss to aging right away. Sometimes ear infections, excessive wax or even hair buildup can impair hearing. So have a vet check your dog if they’re showing symptoms. According to Best Friends, you’ll probably notice your dog drinking and urinating more as the disease progresses. As soon as you see any symptoms, take your dog to the vet to have their blood and urine checked. The vet might prescribe a special diet and extra fluids. “There has also been promising research on the benefit of omega-3 fatty acid supplementation in pets with kidney disease,” Best Friends says. Cancer is the leading cause of death in senior dogs, but it can be successfully treated if it’s caught early. 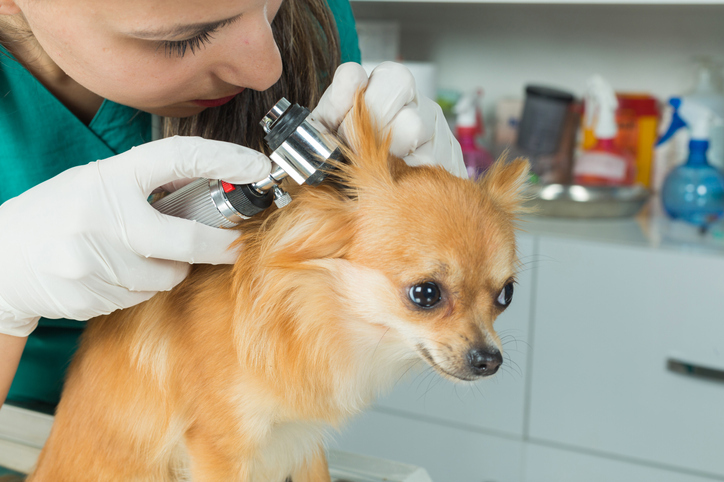 “Blood tests rarely detect cancer at the beginning stages so it is important to notice if your dog has any lumps or bumps on his body, changes in weight, sores that heal slowly, bleeding from the mouth, nose or ears,” according to PetMD. Keep a close eye on any lumps and bumps. And have a vet check anything that’s fast-growing sooner rather than later. Plus, even if your dog doesn’t have any visible bumps, a vet visit is in order if they’ve been rapidly losing weight or extremely tired. No matter which course of treatment you take, the vet can offer several ways to give your dog a good quality of life for as long as possible. 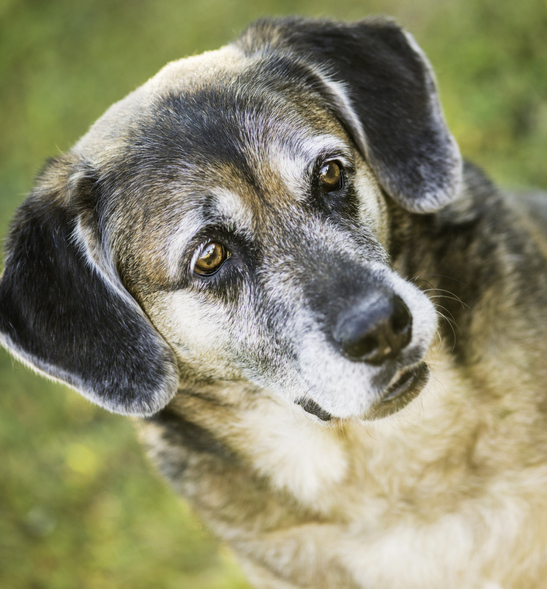 There are many reasons an older dog’s behavior might change. For instance, arthritis pain might make them more irritable and intolerant to touch. And dogs who have experienced a decline in their senses might become more insecure and develop separation anxiety. Some dogs also might be diagnosed with canine cognitive dysfunction — essentially the dog version of Alzheimer’s. According to the ASPCA, symptoms include confusion, social apathy and/or clinginess, pacing or wandering, reversed sleep-wake cycle, house soiling and forgetfulness of routine behaviors or commands. Because these symptoms can mimic many other health issues, it’s important to get a firm diagnosis. There are medications and supplements — combined with behavioral therapy — that can help treat cognitive dysfunction based on your dog’s individual situation. Some senior dogs might need a bit more help medically. And some might be energetic puppies right up to their final days. But proper care — and a lot of love and patience — can help any dog live as many quality days as possible. Thanks! Lab pic looks like my 15 yr old pup :)! Senior dogs are so sweet!